In this Sept. 19, 2018 file photo. North Korean leader Kim Jong Un speaks during a joint press conference with South Korean President Moon Jae-in. Researchers have discovered a secret ballistic missile base in North Korea — one of as many as 20 undisclosed missile sites in the country, according to the researchers’ new report. The Kim regime has never disclosed the existence of the Sino-ri Missile Operating Base to the outside world. Ballistic missiles are the primary delivery mechanism for North Korean nuclear warheads. 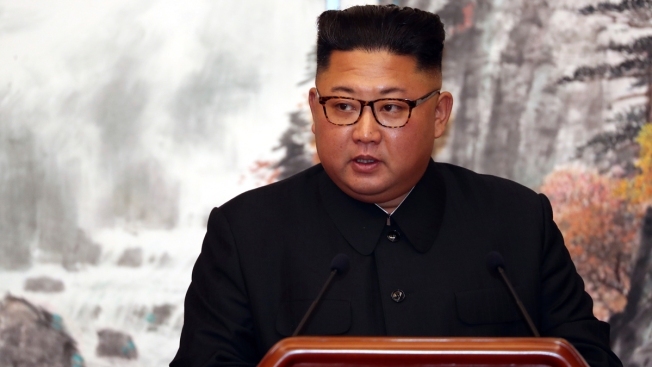 The report from Beyond Parallel, a project sponsored by the Center for Strategic and International Studies (CSIS), a defense think tank, was released Monday and comes after an announcement Friday that President Donald Trump "looks forward" to meeting with Chairman Kim Jong Un next month "at a place to be announced at a later date," NBC News reported.